Urgent need of consultants, promoters. We need sociable, positive, decent and polite staff, as it requires a lot of communication with different people. The interview takes place in Gudauri - Georgia. Pre-online. 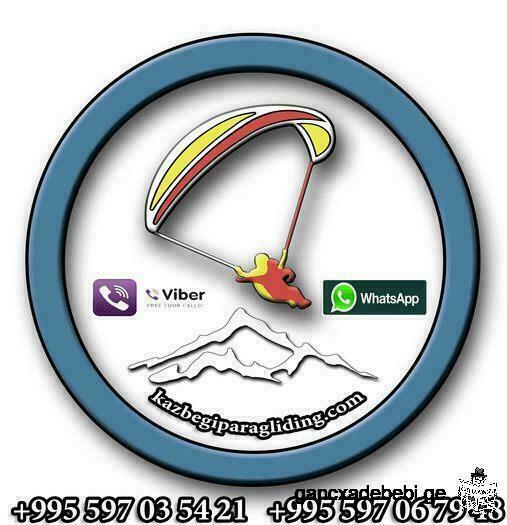 We organize commercial flights on a paraglider with an instructor on the territory of a ski resort in Gudauri Georgia. We work at the ski resorts of international importance. Our company is made up of specialists with many years of experience in providing services in the field of active recreation and entertainment. We do not have random people, We love what we do and are proud of it. Knowledge of basic English and Russian. Aiming at the result, the desire for career growth and good earnings, you can without experience. Reasonable help on the starting areas and landing areas. The schedule of work from 9.00 to 18.00, lunch break 30 minutes. Floating weekend - one, two days off per week (depending on the weather conditions in the resort). We are looking forward to receiving your resume!